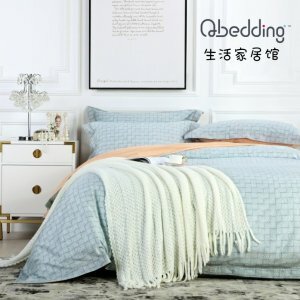 Qbedding Home & Bedding Lunar New Year Special: Everything 10% off. Extra discount on select item with up to 30% off via coupon code "PIG19". Free Magic dry hair hat on all orders. 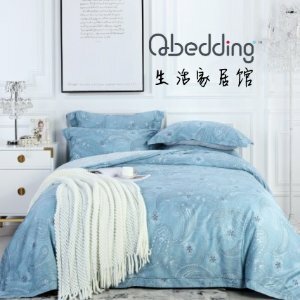 Qbedding offers 12% off New Year Sale. 12% off regular price items，select items with extra discount, via coupon code "NEW19". Free bento lunch box with order $199+. Features: Free Zakka style Bento box on purchase over $199. Xmas 1 day exclusive sale 12% off regular priced item via coupon code "XMAS88". Check out Holiday Gift Guide, Free delivery via coupon code "FREESHIP". Features: Free Zakka style cartoon cat floor mat on all orders over $125. Extra-large 51cm x 79cm floor mat filled with 1cm sponge and anti-slip rubber on the reversed side is great for kitchen and bathroom to keep the floor dry and safe. Features: If you love Lyocell bedding’s soft texture, you must not miss Brushed Lyocell Fitted Sheet Set. With the same silky texture, brushed lyocell fabric is thicker than regular lyocell fabric, Makes it a great choice for winter. Free Shipping on all orders via coupon code "FREESHIP". Features: A heartwarming present that is affordable! 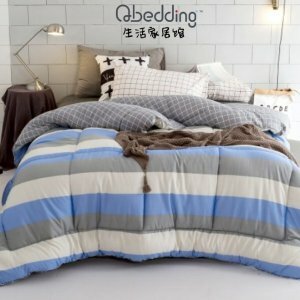 Qbedding’s microplush blanket is made of 380 gsm ultra -thin polyester is thicker than most of the microplush blankets. Its texture is soft and comfortable. Functional, can be used all year round and can be used as light blanket in the summer, warm couch blanket in the winter and also a car blanket to keep you warm and cozy on the road. Take $10 off every $100 purchase via coupon code "CYBER10". Take $25 off every $200 purchase via coupon code "CYBER25". Take $45 off every $300 purchase via coupon code "CYBER45". Take $85 off every $500 purchase via coupon code "CYBER85". Dealmoon Exclusive! 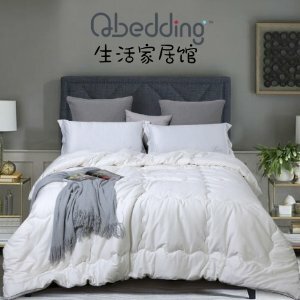 Qbedding Home & Bedding Thanksgiving storewide 15% off sale. Take up to 50% off items already on sale plus daily flash sale on hot sales item. 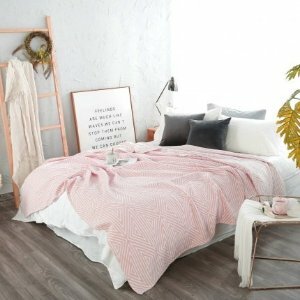 Free shipping + free gift on all orders, via code "BLACK15"
11.19 Australian Wool All Season comforter 10% off，take extra 15% off via code "BLACK15"
11.20 Long Staple cotton bedspread set 10% off , take extra 15% off via code "BLACK15"
11.21 lyocell Comforters 10% off, take extra 15% off via code "BLACK15"
11.22 Select silk duvet insert 10% off, take extra 15% off via code "BLACK15"
11.23 Lyocell bedskirt set 10% off, take extra 15% off via code "BLACK15"
11.24 Extra weight wool comforter 5% off, take extra 15% off via code "BLACK15"
11.25 24 hours only, 5% off Adult pillows, take extra 15% off via code "BLACK15"
Dealmoon Exclusive! 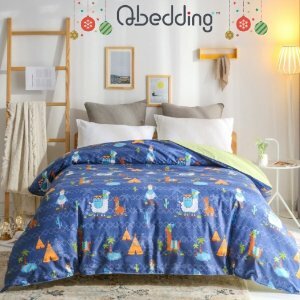 Qbedding Home & Bedding blankets buy 2 get one free, 10% off new arrival，free blanket on first 5 orders of the day. Microplush blanket as low as $19.95， now buy 2 get 1 free via coupon code "BLANKET3". 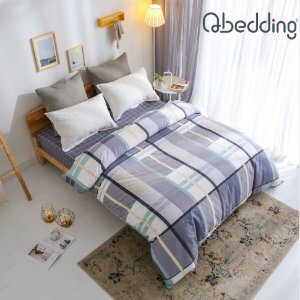 Long Staple cotton bedspread set 10% off via coupon code "DMQ10". Dealmoon Exclusive! 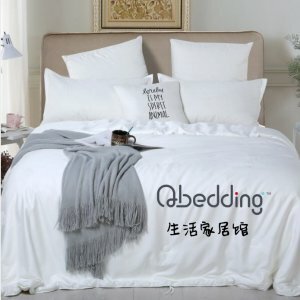 Qbedding Home & Bedding Luxurious Tencel comforter buy one get one free plus other hot sell items. Add 2 promotion items to shopping cart, discount will apply at checkout via coupon code "SINGLE18". Features: Have you been using your blanket the wrong way? Instead of wrapping yourself underneath the blanket then put on your heavy comforter, blanket should be place on top of your heavy comforter to maximize warmth. This way blanket can help blocking the warmth initiated in between you and your comforter. Now get a free extra thick microplush blanket with purchase of select winter comforter. Dealmoon Exclusive! Home & Bedding Fall Special: 12% off orders over $200 via coupon code "WINTER12". Free Wool dryer ball set (3pc) with purchase of Australian Wool Comforters. 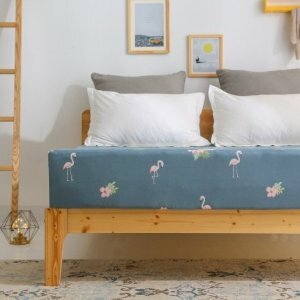 Lyocell Fiber Bedskirt Set 12% off with code “WINTER12”. Luxe Mulberry Silk Duvet Insert 12% off + Free cotton muslin blanket with code "WINTER12". Features: Brushed Cotton Fitted Sheet Set includes one duvet cover, one fitted sheet and two pillow shams. Fabric is made of 100% premium cotton with brushed technique, leaving a short fuzzy layer on top the fabric. The short plush layer will retain heat much better than regular cotton. We highly recommend to use in winter..
Dealmoon Exclusive! 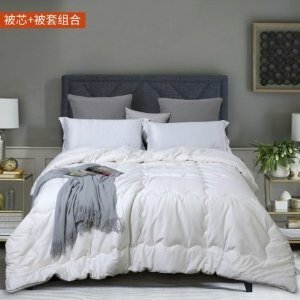 Long staple cotton bedspread set 10% off, no coupon code needed. 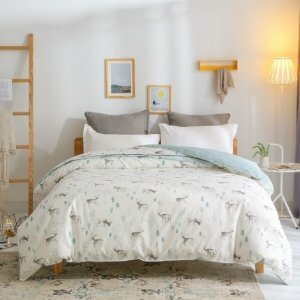 Free matching size cotton duvet cover (value $38.5-$48.5) with purchase of cotton filled all season comforter. Up to 40% off Select Down Comforter, Cotton All Season Comforter. Select silk comforters up to 30% off plus free cotton muslin blanket with purchase. Free Storage Basket on orders over $88. 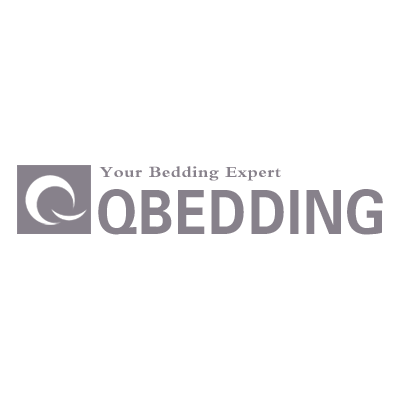 First time newsletter subscriber, get 10% off coupon via email. Features: Premium long staple cotton bedspread set is made of finest quality long staple cotton with long and smooth cotton fiber and sateen weaves. Compare to regular combed cotton, long staple cotton is softer in texture and even more skin friendly with smooth shine. 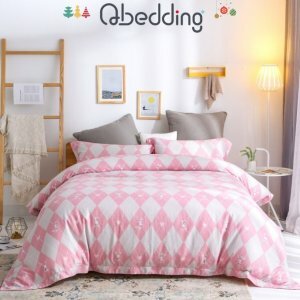 Features multi-function bedspread that can also be used as summer quilt and flat sheet. Dealmoon Exclusive! 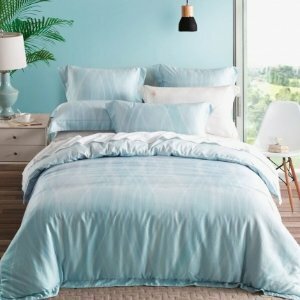 Free matching size cotton duvet cover (value $38.5-$48.5) with purchase of cotton filled all season comforter. Select fitted sheet, flat sheet, printed cotton all season comforters 20% off . Free shipping on all New Arrival Items. 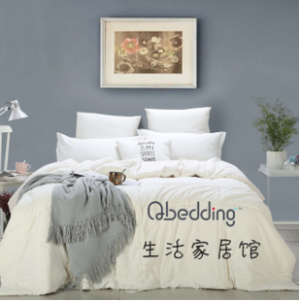 Features: Qbedding’ s pure cotton all season comforter is filled with 100% Xinjiang cotton with sand washed cotton as the outer fabric, this comforter has soft texture along with lofty cozy filling. 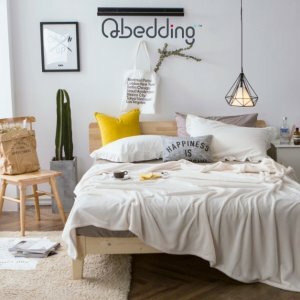 Qbedding Home & Bedding offers all new arrival items. 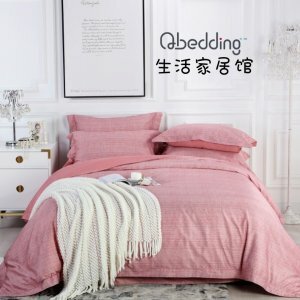 Features: Qbedding specializes in different silk duvet insert. From economic tussah silk filled combination silk duvet insert to luxury Tencel fabric & 100% mulberry silk filled Luxe silk duvet insert. Now get a free cotton muslin blanket with value $39.95 with purchase of select silk duvet inserts. 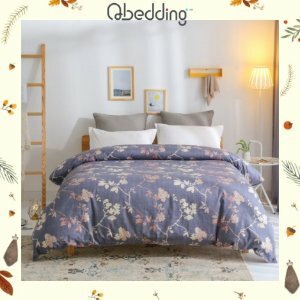 20% off Machine Washable Cotton All Season Comforters. 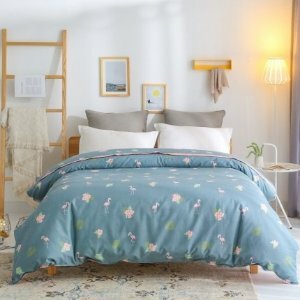 Cotton Bedskirt set as low as $52.76. 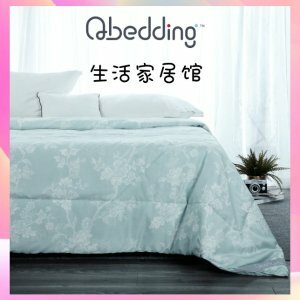 Qbedding Home & Bedding offers Labor day Sale up to $55 off. 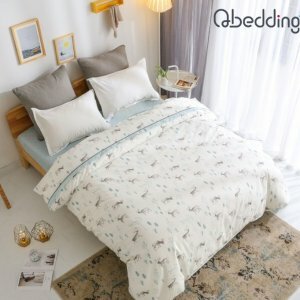 Take $25 off $200 with code "LABOR25"
Take $35 off $250 with code "LABOR35"
Take $55 off $300 with code "LABOR55"
Features: Natural filling all season comforters is best for spring and fall, also recommend to use in winter and summer where temperature is control by heat or air conditioner. To protect comforters, recommend to use along with duvet cover. 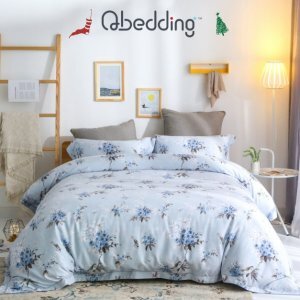 Features: Introducing Qbedding’s convenient All Season Comforter Bundle.Bundle includes 1 all season comforter, one fitted sheet, and 2pillow sham. Now get a free laundry hamper with purchase of any all season comforter bundle.